Edo State Polytechnic HND, ND Part-Time, Certificate Course and Pre-ND programmes admission forms for the 2018/2019 academic session are now on sale. Applications are invited for admission to the part time ND, HND, Certificate Course and Pre-ND programmes of Edo State Institute of Technology and Management, Usen (Edo State Polytechnic) for the 2018/2019 academic session. 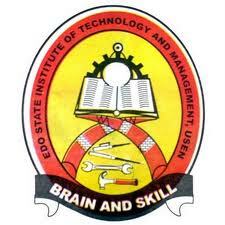 List of Available Courses in Edo State Polytechnic. How to Apply for Edo Sate Polytechnic Admission. Admission for 2018/2019 Session has started for ND Full Time, HND Full Time ,Certificate Course and Pr-ND on etranzact platform in any Commercial Bank in Nigeria – ND Part Time/HND Full Time N5,500. I got a message from Edo poly that I have been admitted to study Mass Com. And I did not buy their form, plz is it for real . pls,, can one study part time programmed online? Comment Text* can I come to school to purchase admission form? Please I Got A Message From Edopoly Giving Me Admission, Is It 4 Real? ?